The financial year 2019–20 (FY20) has seen the best start for the primary market in the last three years, with the initial public offers (IPOs) of Metropolis Healthcare and Polycab India raising Rs 2,550 crore on the back of strong response from institutional investors. The fund mobilisation in April 2019 is highest in the last nine months, since July 2018, when two companies had raised Rs 3,925 crore from the primary market. In April last year, not a single company hit the market to raise funds via this route, while in April 2017, S Chand & Company -- the sole IPO -- had raised Rs 728 crore. As regards the recent offers, qualified institutional buyers (QIBs) quota in Polycab India was over-subscribed by a whopping 92 times, while that in Metropolis Healthcare by 9 times, exchange data shows. Analysts attribute this to a renewed buying interest by foreign portfolio investors (FPIs) in the secondary market, which saw the S&P BSE Sensex and the Nifty50 hit their respective new lifetime highs last week. In the past month alone, both these indices have rallied 6 per cent and 5 per cent, respectively. FPIs have pumped in net Rs 38,018 crore ($5.5 billion) during this period. “Investors will lap up issues that are attractively priced, have a good business model and clean management. Things have been improving for such companies mid-and small-cap market segment in the secondary market and such companies are also finding takers in the primary market as well,” said G Chokkalingam, founder and managing director at Equinomics Research. Going ahead, experts say, the fundraising trend in the primary market will depend on how the secondary market performs in the backdrop of the outcome of general elections and global cues. Pranav Haldea, managing director at PRIME Database, for instance, believes that election outcome will have a direct bearing on fundraising plans of companies. According to him, if the elections throw up a fractured mandate, companies are likely to allow their approval to lapse. 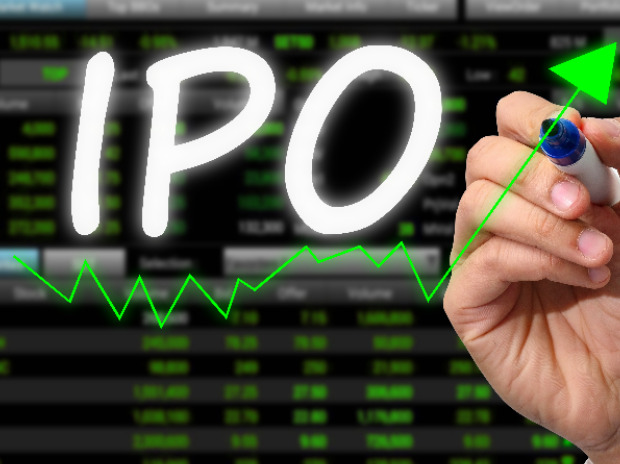 A stable government, on the other hand, could see a flurry of IPOs get launched. There are 64 companies that have Securities and Exchange Board of India’s (Sebi) approval to raise over Rs 63,000 crore and another eight wanting to raise about Rs 7,600 crore and are awaiting regulatory approval, data shows. “This pipeline can vanish quickly in case markets are volatile and a bearish sentiment prevails. Already in 2018-19, nine companies that were to collectively raise Rs 6,495 crore, let their Sebi approval lapse despite approvals being valid for a period of one year and after having incurred a lot of time and cost,” Haldea said. 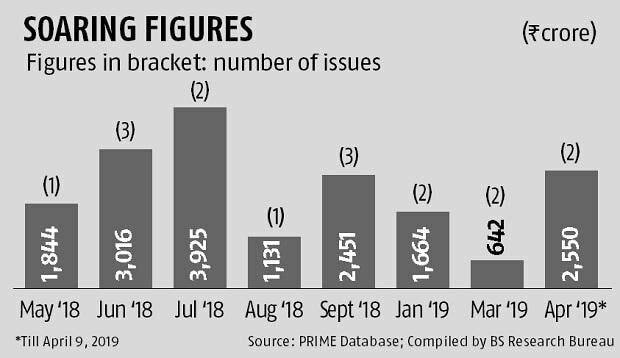 The financial year 2018-19 (FY19) saw fundraising through IPOs drop by a huge 81 per cent to Rs 16,294 crore from Rs 83,767 crore in the previous financial year. The response to IPOs was further affected by the poor listing performance of IPOs of the year. Munish Aggarwal, director (capital markets) at Equirus Capital, too, believes the fundraising activity in the primary market could slow in case the elections were to spring a surprise. “The secondary markets are factoring in a stable government at the Centre. In case of a surprise, the benchmark indices will correct. As a result, the primary market activity too will slow and wait for the secondary markets to stabilise,” he says.